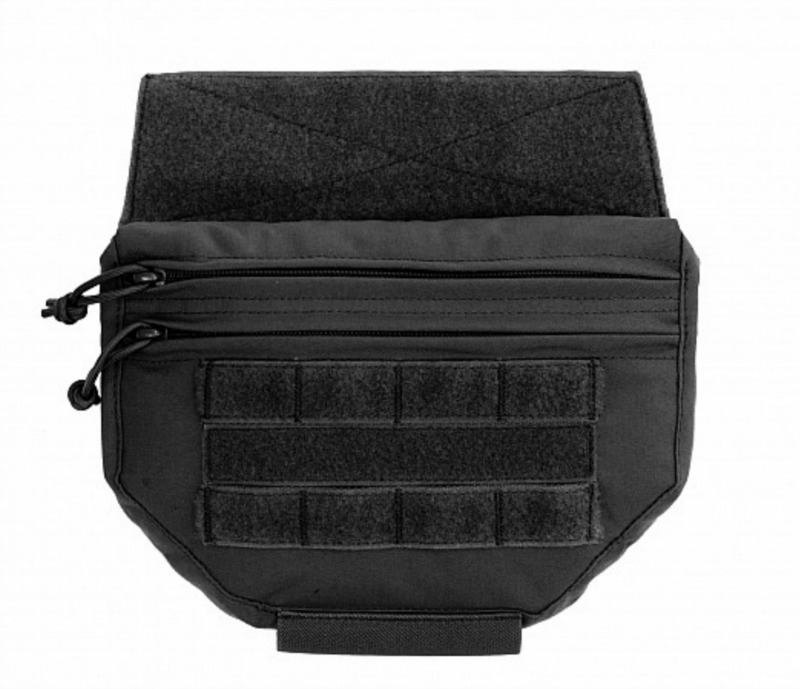 Warriors Drop Down Velcro Utility Pouch hangs under the front flap of most armor carriers and attaches quickly and securely via Velcro. Ideal for use with Warriors DCS, RPC and PCR Chest rig. There are 2 zip pockets, the larger and main compartment is designed for storage and quick access of larger accessories and tools, Med Kit and Admin / Maps etc. The smaller pocket is good for storage of smaller items such as torches, batteries, Compass etc. On the underside there are 2 elastic loops for chem lights and or markers. The Drop Down Pouch can also be used as an armor add on for lower abdomen protection, we have included a rear pocket which allows a Level IIIA soft armor insert to be added.